Going into the Scottish 10k I had a list of goals. They were less about the numbers and more about running attitude and I’m pretty happy with how things turned out. The primary goal I settled on was to try and keep a consistent pace, and I listed a couple of different paces I would be happy with. Apparently my legs misunderstood and/or ignored the part about consistency, and instead decided that they would hit every one of the potential paces. I’m not overly concerned since all paces were sub-8 (with a couple of 7:30s thrown in! At my ego’s request I’m not going to specifically address the elevation profile of those speedier miles…) and there was a lot to deal with on course: crowds, hills, and tired legs from a pretty legitimate week of workouts leading up to the race. Also, a couple of late nights catching up with one of my best friends and roommate for the weekend, 8. Anyway. Goal 1: Not as “achieved” as it could have been, but I’m not going to call it a fail either. The final goal was just to run happy. To get as close to that magical NYC Half runner’s high as I could. I definitely wasn’t as happy, but I was enjoying myself as I ran. I didn’t think I was over the top happy or anything, but in every picture of me, from both 8 and from the official photographers, I have the biggest smile. Overall, I’m happy with how the race went. 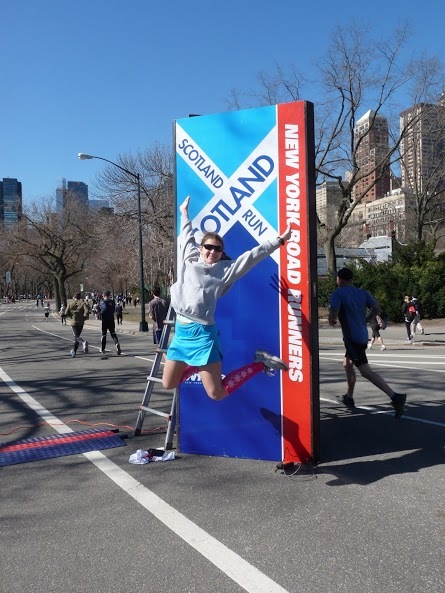 I was mostly excited for it because of the Scottish theme, and NYRR did not disappoint. 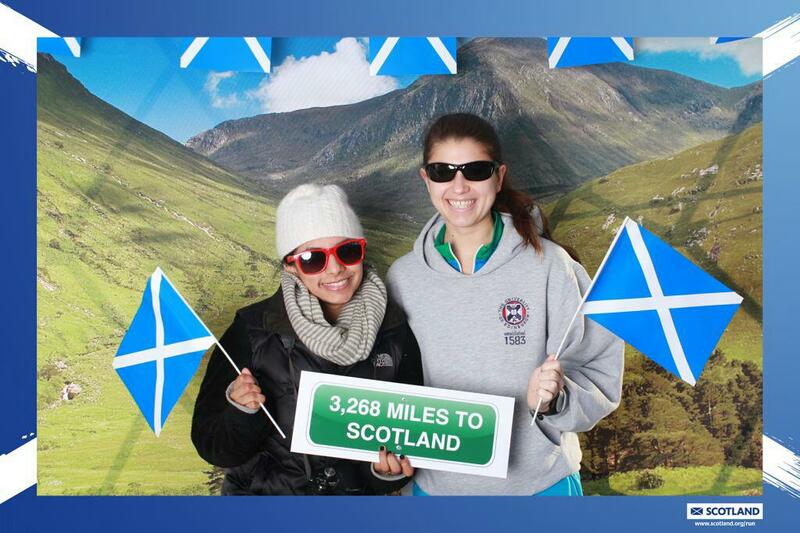 8 and I got to the start with enough time to take advantage of the Scotland photo booth before working our way to the corrals. 8 wasn’t running, but graciously woke up and came with me to cheer, photograph, and hold my sweatshirt, because she is awesome. The race was a little bit frustrating in that it never really opened up, and felt crowded pretty much throughout, but so many people were dressed up and there are worse things than being crowded into a sea of tartan and kilts. As I said, my legs were tired, but not necessarily in a bad way. They were the kind of tired that happens after a good workout. Yes, it was frustrating not being able to run as fast as I know I can, but it was nice to be able to run as fast as I did. 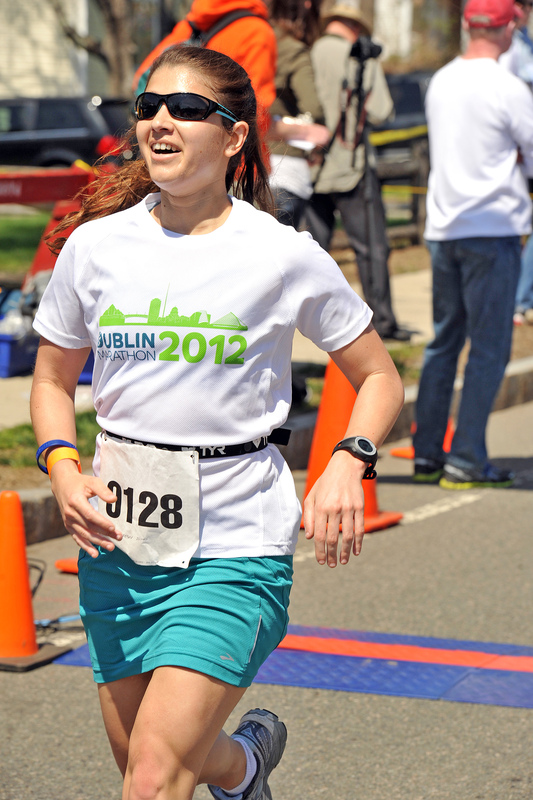 Despite my happy running, by the time I rounded the last turn, I was definitely ready to be done. I still managed to muster up a little bit of leftover energy to sprint to the finish, cheered along by 8. I grabbed a French Toast bagel, found a sunny spot to watch the raffle and dancing at the finish festival for a little bit, and then made my way back to 8’s apartment. After brunch and a nap, I was awake and ready to get out and enjoy New York in a non-running sense, so I think I can put a check next to run/life balance for the weekend as well. Good times. Obviously, this recap is delayed. When I first wrote it, I included more about my actual time, 48:46 and how all these ‘fast for me’ paces added up to a new PR. But then, I found out that this exists, and I couldn’t pass it up. A literary 10k? YES. I have a love/hate relationship with James Joyce. As part of my Literature degree, I had to a take a ‘major figure’ class, a semester long in-depth look at a single author. I didn’t really know much about James Joyce, so I thought he’d be a good choice. 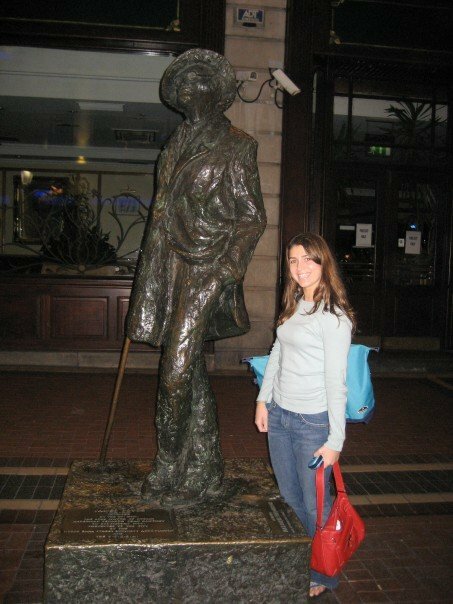 I don’t know if it was the professor, who I didn’t love, or the fact that I spent college seemingly on a quest to be an English Major who didn’t actually read, but I came away liking James Joyce in theory, but not necessarily in practice. Theory, as it turns out, can carry me for at least 6.2 miles. 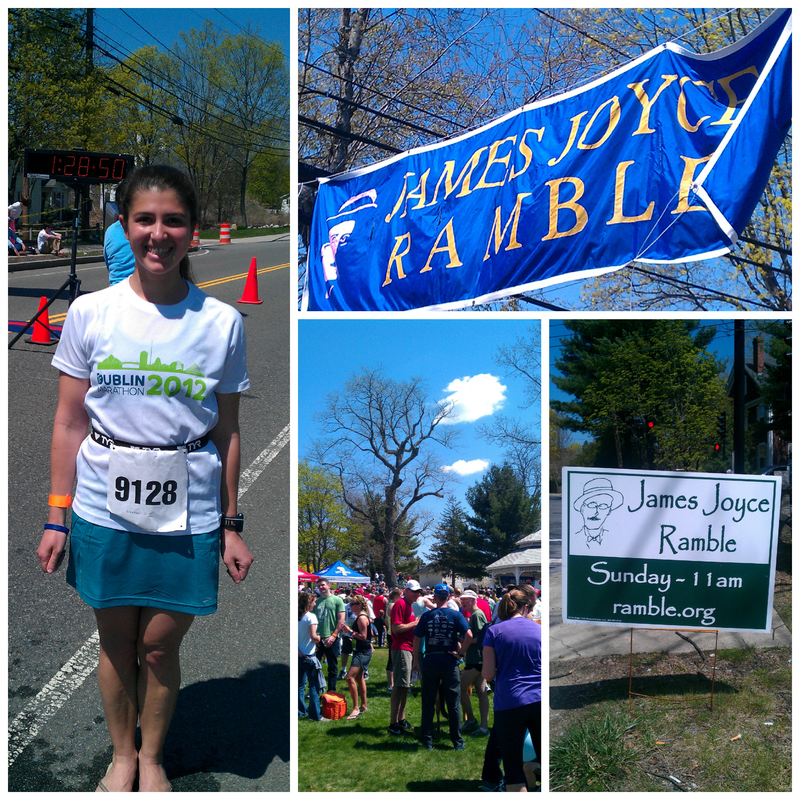 I crossed the finish line happy enough to want to pick up Finnegan’s Wake and dive right in. Powerful stuff, this running. I can’t speak highly enough of this ‘ramble’. It started in 1984 when the race director likened running a race to slogging through Joyce. Today, actors line the course and read excerpts from Joyce’s works – a different book/story for each mile, finishing with The Dead. The course is pretty, if hilly in spots, but there were spectators all along the course, plenty of water, and supportive volunteers. The actors were great, popping up every time I needed a boost. The organizers had extra numbers printed due to a last minute surge in registrations and we reached course capacity, but I never felt crowded or like resources were spread thin. The race started with a Boston tribute, and then the Masters runners were off. Three minutes later the rest of us made our way to the start. The weather was gorgeous – sunny, but not overly hot, and the course rolled through the town center and along pretty, very New England, tree lined streets. There were only two hills I’d consider big and they came close enough together, that they barely counted as separate. I hadn’t planned to run this race. I found out about it three days before, and I didn’t do anything resembling taper or planning for it. I registered the day before the race. I decided not to race race, but to use it as a quick, fun run. But then I started running and despite having run hard throughout the week, I felt good, I felt fast, and I felt like I wanted to see what I could do, so I resurrected the goals from the Scotland Race and set off on round 2. My first mile came in a little too fast at around a 7:15, but it was also on a slight downhill. My pace evened out with the terrain, and I ended up settling into 7:30s. In the end, my average pace was 7:32. I slowed down a little bit on the bigger hills, but not a lot. I had the advantage of going into the course blind. I had no idea how many hills there were or when they occurred, so I just pretended that each hill was the last one and I did a good job of taking them one at a time without psyching myself out. 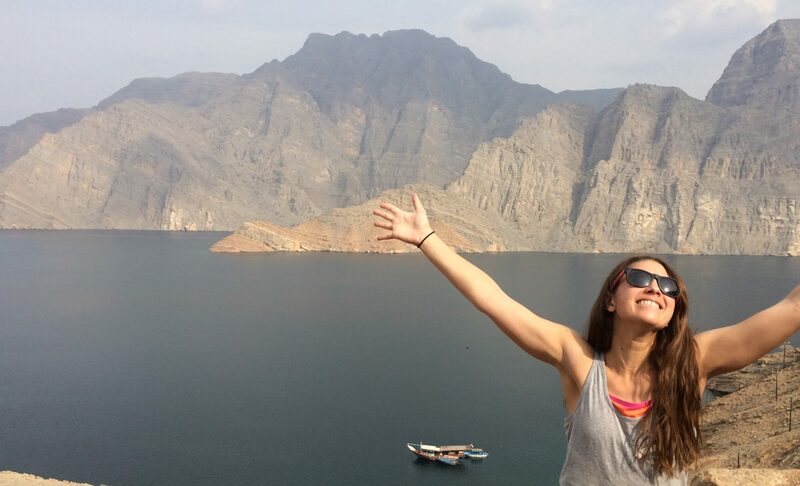 The gorgeous weather/scenery and literary excerpts definitely helped! As for running happy, I definitely had that covered. It’s odd. 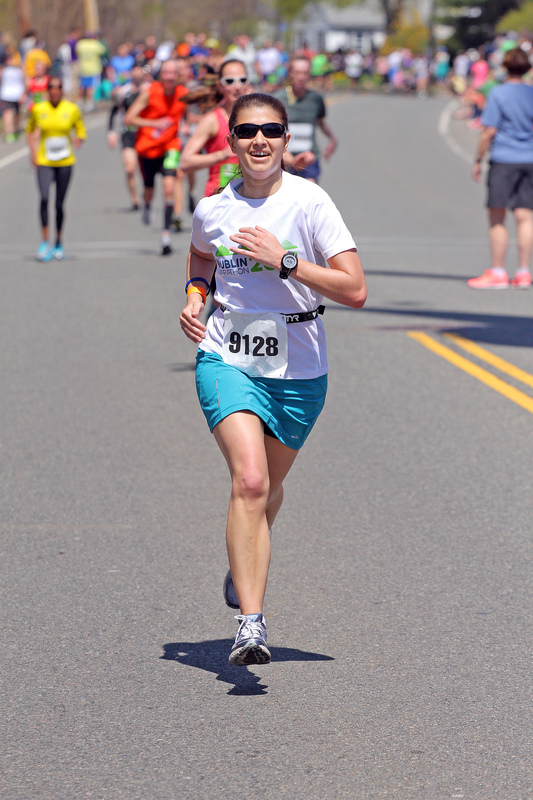 I don’t have any strong feelings towards 10k as a distance, and I always (ya know, all three times) feel like I’m slogging along, and yet I look the happiest in pictures from my 10ks. This race was no exception. 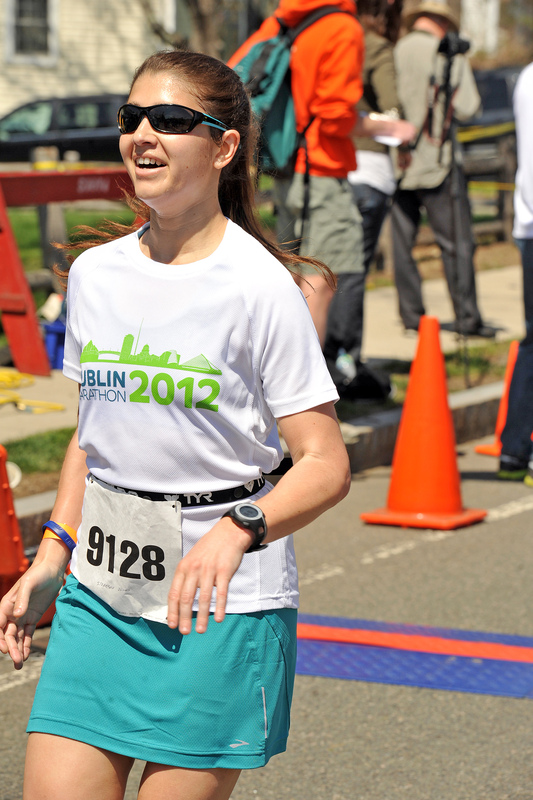 I look ridiculously happy in every picture and I crossed the finish line with a giant smile on my face. I also crossed the finish line with a brand new PR: 46:47. That may have had something to do with the smile. At the finish, they were handing out pasta, snacks, and Harpoon beer. I grabbed some food and found a nice sunny spot to sit in, basking in the sun and the good PR vibes. It’s been a good year for PRs. I know at some point I’ll stop PR-ing in every race I run, but I’m ok with that. Right now I’m loving the fact that every PR I have is from an Irish/Irish themed race: St. Pat’s 5k, James Joyce 10k, NYC Half on St. Patrick’s Day, and the Dublin Marathon.